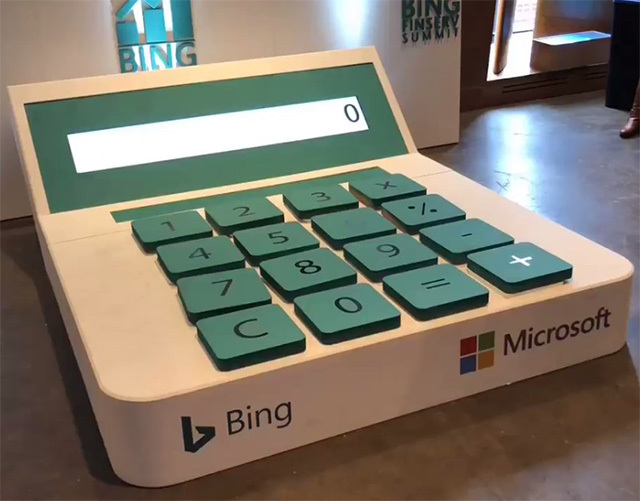 Bing Ads shared on Twitter a video of a massive and huge old fashion desk calculator. If you watch the video, you will see people stepping on the numbers and doing the calculations with their feet. Pretty funny.